We went over to Kenilworth Mall in Towson MD and checked out Comfort One Shoes. Luck was with me, I loved the young lady shoe salesclerk Anna. 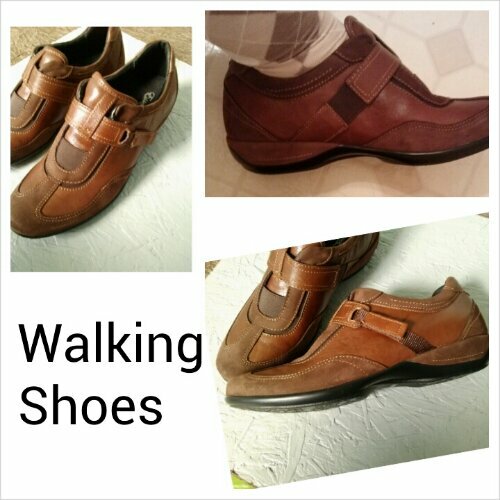 She helped me find a nice pair of comfortable walking shoes in leather/suede. Diane by aetrex. The shoe is light weight, leather and comfortable. Carol found her shoes in southern maryland. As someone who buys walking shoes often, I haven’t heard of those brands before. I really like Comfort One Shoes and their Naot Chief Oily Brown Nubuck Tie model looks really slick. Thanks for posting this otherwise I never would have seen them!